The years are flying by, and it's amazing to think that my beautiful, eldest, rainbow baby is almost five! This Christmas she will still be four, however, so here are a few Christmas gift ideas for children like Squidgy who are in their first year of school. By now you must already know that I love Christmas, so it is inevitable that the first Christmas gift I'm going to recommend is a Christmas jumper! Squidgy has had a variety of different awesome jumpers over the years, and this year is no different. As well as the one to match the rest of the family, she also has a gorgeous fluffy reindeer one from Primark. Honestly from this picture I think she could model their clothing! Another fabulous Christmas buy from Primark, this time in the form of Christmas clothing. We bought a whole load of bits for our girls in the next size up last Christmas. 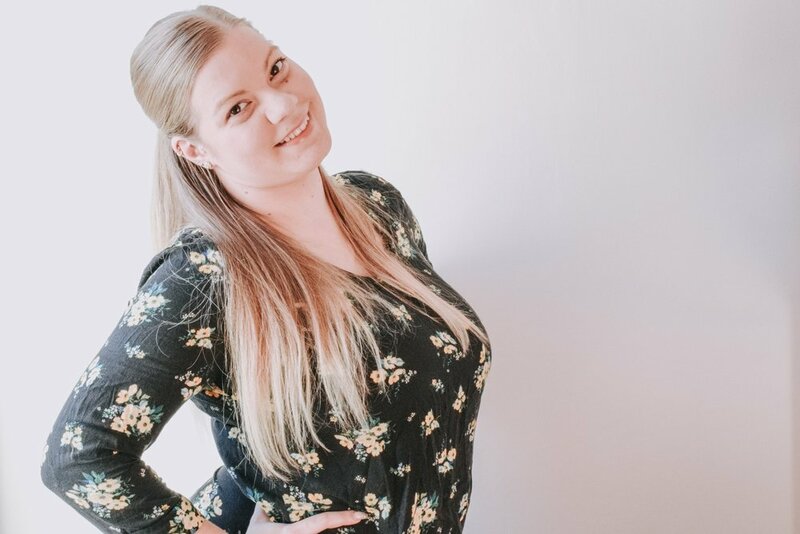 There are a wide variety of clothing pieces available in Christmas patterns from Primark including t-shirts, leggings and so much more. Read me a tale, tuck me up tight, say a sweet prayer and kiss me goodnight. I really don’t think there is anything better than a cosy set of pyjamas, especially on a cold winters night. When it comes to finding the perfect Christmas gift for your child this year there could be no better choice. With Squidgy a big lover of all things unicorn related (check out my Stocking Fillers for Under 5s to see more awesome unicorn gift ideas!) this Primark onesie is the perfect gift for her! The more your read, the more things you will know. The more things you know, the more places you will go. Whether she is learning to read herself, or having a bedtime story read to her, Squidgy is a great lover of books. Christmas gifts that are both useful and fun are the best kind, so books are high on my list every Christmas for all the family. There are great books available like The Adventures of Jenny and Philip: The Naughtiest Girl in the World* which are not only a good story but contains lessons for life, which are perfect for ensuring your children lead the best lives possible. Now that Squidgy is in school, she is learning so many new things. 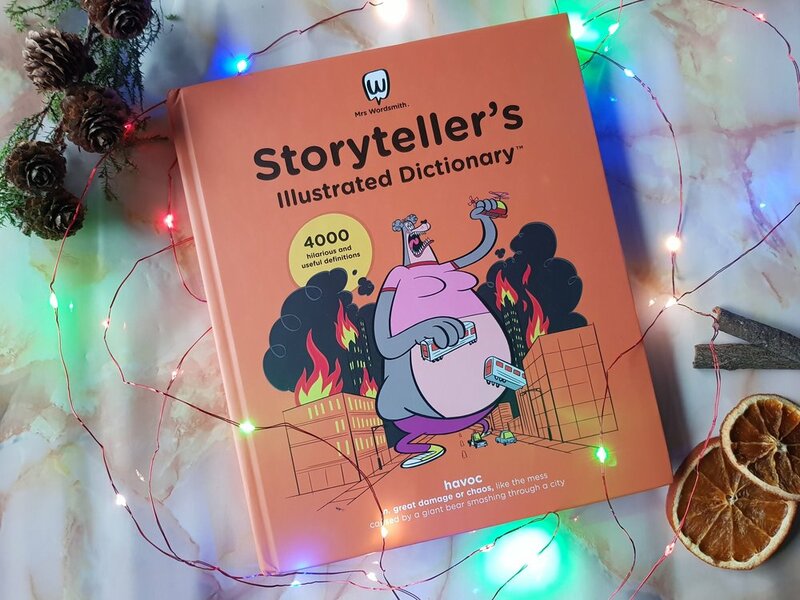 She has always enjoyed words and figuring out what things mean so the Storyteller's Illustrated Dictionary* is perfect for her. 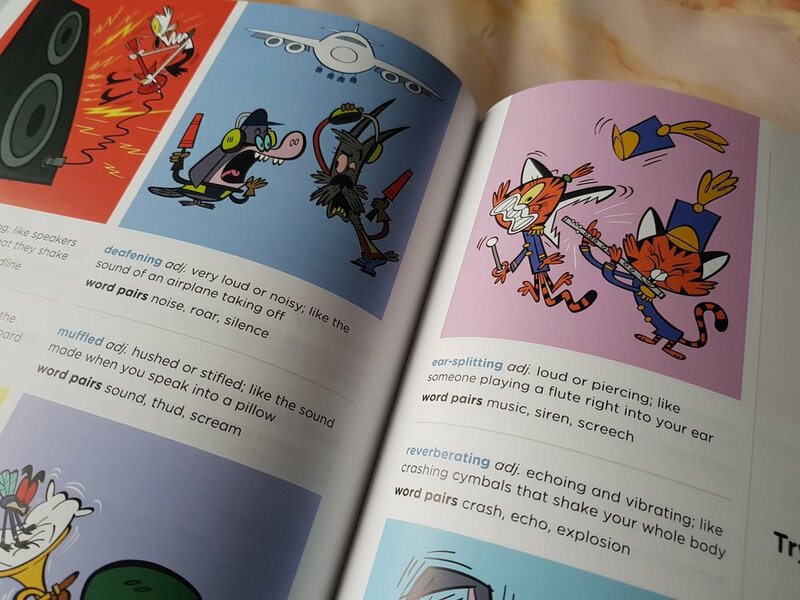 With 4000 storytelling words seperated into six themes (character, settings, taste and smell, action, emotion and weather) and 1300 illustrations it is bright, colourful, fun and best of all amusing too! Playing is the best way to learn, I have found this throughout the past few years of parenting. When it comes to choosing the perfect Christmas gift for four year olds this year you can't do better than an Asmodee game like Rory's Story Cubes*. Squidgy absolutely loves these cubes, which have different features on each face that once rolled allow you to create and imagine your own story. From aliens to castles and bees to trees, there are so many different story lines that you can create. It's amazing to see Squidgy's mind working as she tries to create her very own story, and this could not be a more perfect Christmas gift for children like her. When I was younger Barbie dolls were an expensive toy to buy, yet still they were every little girl’s dream toy and they could be found in most homes. In my opinion every child should have them, and with so many available all you have to do is give your child an Argos or Smyths Toys catalogue in the lead up to Christmas to let them choose their favourite. In our case, Squidgy fell in love with the Dreamtopia Barbie Mermaid Doll﻿, and as we had a Smyths Toys voucher to use up we decided to buy it as one of her Christmas gifts this year. If you haven’t figure it out by now, Squidgy is a big fan of unicorns so a lot of her gifts this year are unicorn related. This amazing Aquabeads Magical Unicorn set* is such a lovely Christmas gift for children this year. The age recommendation is four plus, meaning it is bang on for Squidgy and it is such an easy activity to do with your children too. Complete with all the beads you need, a pattern sheet, a layout tray, bead stand and sprayer you are all set to go. Best of all you simply spray the beads with water once they are in the pattern you want and after an hour you have a perfect Aquabead character to keep! You may remember a couple of months ago we reviewed the amazing Fingerlings Hugs Bella. There are so many awesome reasons to love the new Fingerlings Hugs from the interactive features to the fact they are simply a soft, hugable, lovable toy. After reviewing it in full, I cannot recommend it more highly as a gift for children this Christmas. You can pick up Bella or the blue version Boris at most places including Amazon, Argos and Smyths Toys. As Squidgy has grown, the toys she plays with have evolved. From shape sorters to dolls, from mega blox to Duplo. Right now she is the biggest fan of Playmobil… and with a growing collection is forever creating amazing imaginative play. She loves animal sets in particular, and I cannot wait to see her reaction to the amazing new Playmobil Aquarium* she has for Christmas this year. I'd recommend building the set before Christmas day though, as it has quite a few different parts to put together. Once it is put together though, you can fill it with water and it makes one of the most amazing sets Playmobil have ever released. I myself have been an avid collector of soft toys for years. As a child I collected TY beanie babies, as an adult I have collected Me to You bears, but all of them have made me so happy and remind me of different happy moments in my life. When it comes to Christmas, I love to invest in a Christmas themed toy and the lovely new range of pugs and sloths from Clintons are the perfect addition to any Christmas list. Squidgy’s Pugsley Santa* is so soft, and so cute, and comes in an elf version too! It is definitely a perfect Christmas gift for children! Handbags are like friends, you can never have too many. The older Squidgy gets, the more interested she becomes in all things that she considers to be “grown up”. Her latest love is for handbags. Whenever we go out, she wants to carry a handbag, usually filled with an assortment of seriously random bits and bobs like miniature My Little Pony Toys, hair ties and more. Getting her a lovely new handbag as a Christmas gift this year could not be a better choice, whether I find a Disney themed one in Primark or a cute bag like the one in the photo below from Claire’s. Ever since her daddy first introduced her to Star Wars Squidgy has become a fan of the franchise. Having a themed Star Wars Darth Vader Bento Box* from SousChef is the perfect addition to our home, and definitely a fantastic Christmas gift for children. There are two different compartments and the top turns over to make it a bowl. It even comes with an elastic band to ensure the three parts stay together until it’s time to snack on the food stored inside. Perfect for day trips out or as a lunch box for school this bento box is also microwave safe and can be found in a smaller, R2D2 version too! I hope you now have some amazing Christmas gift ideas for four year olds (and let's be honest other ages too!) Now you can start your shopping ready for the big day in a few weeks time!